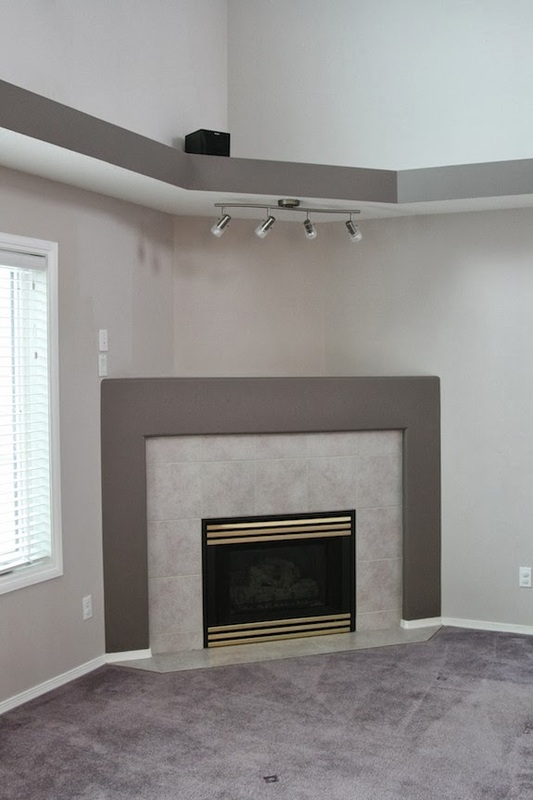 When we looked at this house my first reaction to the fireplace was…that has to go. 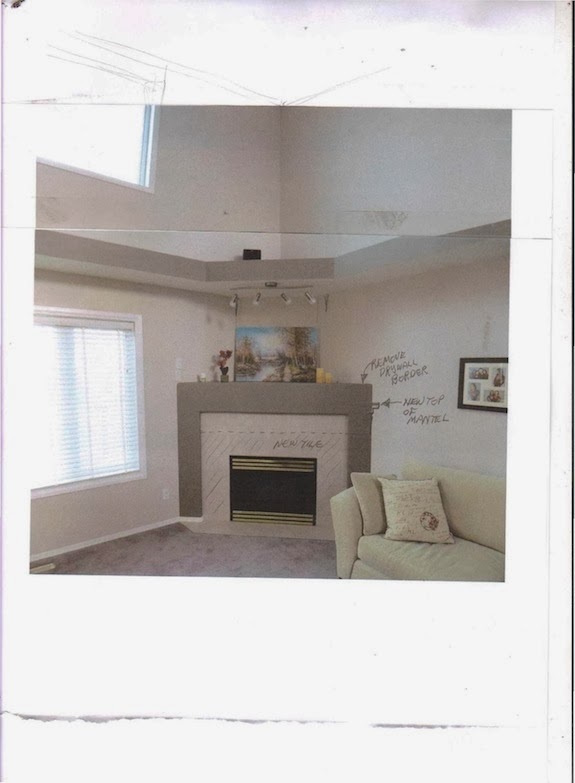 I hated it, it had a giant drywall border, the proportions were all wrong and the brass front was hideous. But when it comes to a renovation you have to compromise. 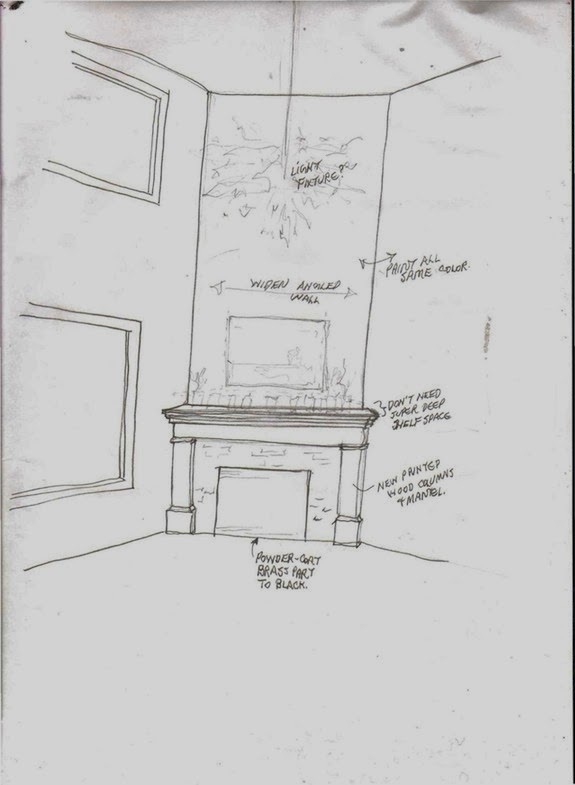 My husband said that the fireplace was something he really really wanted to keep and so I said well if we are going to keep it we need to make some changes. 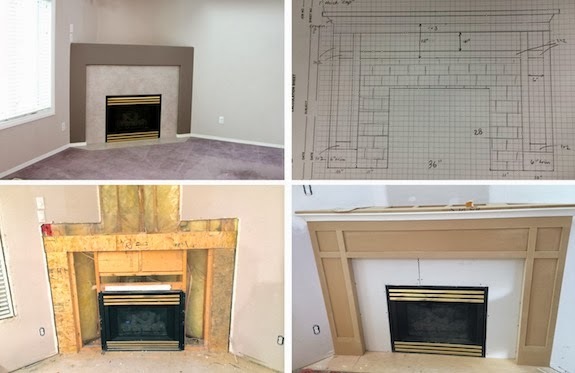 First, the drywall border has to go, second, the mantel height needs to come down about six inches and third we need to frame in the wall on an angle. From there I started scoping the internet for ideas about style and tile type. I came across the blog Young House Love. They had a beautiful post about their fireplace and I decided that I wanted to model our fireplace after theirs. Then the convincing began… I had to convince my husband that this wasn't going to be too much of a project and that there wasn't going to be any surprises…convincing turned to arguing turned to my mother trying to referee. In the end we decided to cut a small hole in the upper right corner and take a peak in behind to see what we were dealing with. So we made the cut, took a look and found…a lot of air, it was completely hollow meaning we could do what I had planned and didn't have to worry about electrical, venting, gas etc. Demolition began, we had already started taking down the decorative ledging around the living room so we just added this on. Once the demolition was complete we could start putting it all back together. 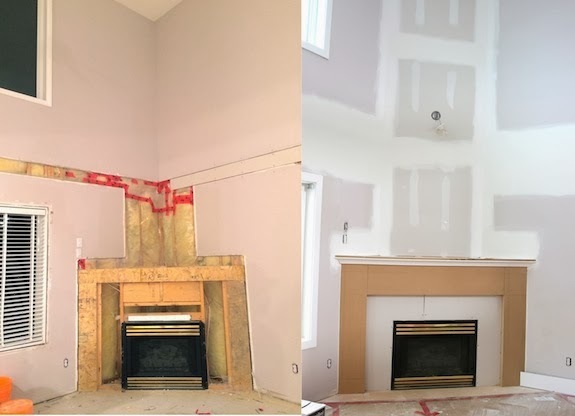 My husband had to reframe around the fireplace and the wall to the ceiling, drywall and then begin the decorative mdf moulding. I took a lot of hints from Young House Love for the decorative moulding. Our goal was to make it look similar to our cabinets (shaker style), we added a nice thick cap on top and now are patiently waiting to have it sprayed white. Once the painting is complete we can start to tile the surround. I've chosen a faux marble subway tile, so again going with a very similar look to Young House Love. Một nguyên nhân nữa doanh nghiệp không mặn mà với vấn đề đóng kinh phí này là chưa có chế tài phạt, không đóng cũng không thấy bị làm sao.